Gbodywarehouse :: T- Shirts & Ball Caps :: Tee Shirts :: Black Hurst Logo T-Shirt SIX Sizes Available! 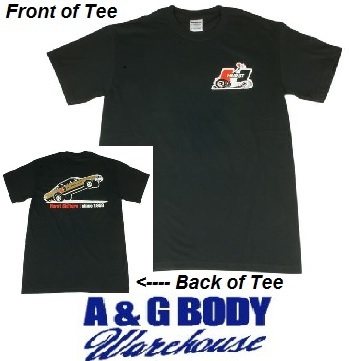 » Gbodywarehouse » T- Shirts & Ball Caps » Tee Shirts » Black Hurst Logo T-Shirt SIX Sizes Available! Constructed from premium quality cotton and printed in vivid, fade-resistant colors, these quality made tee's have an old-school Hurst Roll/Control logo on the front and a large " Hurst Hemi Under Glass" illustration on the back commemorating the founding of the company in 1958.